Numerology is the study of numbers. We all are born with certain numbers that affect our lives and also define our nature and character. Interesting yet true, that how numerology can affect our lives and change the way we look at numbers forever. Numerology is a very complicated science we cannot discuss all of it in one article. However, we are going to pick up one number and discuss about it. The number we select today is nine. or multiples of nine like 18th, 27th, and so on. The basic characteristics of people born under this number are that they can be trusted; they are honored by others, they are noble, moral and spiritual in nature. Their warm and friendly nature helps them to make friends easily and win hearts. The number signifies philosophy so the people with this number take up careers as lawyers, spiritual leaders, psychiatrists, teachers, etc. Any profession that needs a personal touch can be taken up by people with number nine. Another feeling that comes to number nine naturally is of philanthropy. People with this number have a selfless attitude in life and they help the underprivileged and the less fortunate people. The number is considered very powerful and lucky in numerology. It is the highest number in numerology and is considered to be very auspicious. 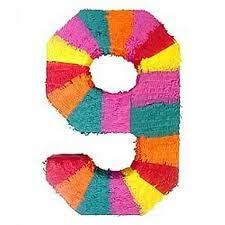 Many people all over the world believe in the power of number nine. In India people generally request the car dealers to get a number for their car that sums to nine. In china wedding dates are generally kept on ninth as the date is considered very auspicious for marriage. Well the number nine do have some negative signs too like, the negatives associated with this number are bang opposite to the positives. People with number nine have huge mood swings. They can be very aloof and lonely at times. They can also tend to become selfish in order to get what they want. This can make them quite lonely at times and without friends. If you are a number nine you should try to control these negatives and try to avoid mood swings as much as possible. You can wear a stone named pietersite this will help you to control your mood swings and lead a better life. Hematite is another stone that people with number nine can use as it gives mental strength. The other common stones recommended are topaz, ruby and pearls. These stones can bring luck to those born under the influence of number nine. In case you were born under the influence of number nine. This article would help you to understand yourself better and also help you to get few tips on how you can improve your luck. If you are a person who knows someone who is number nine as per numerology, this article will help you to understand them better.